After having Alfie, I decided I would give blood as soon as I was able to. When I was pregnant, I found out my blood group was ‘A Rh Neg’. 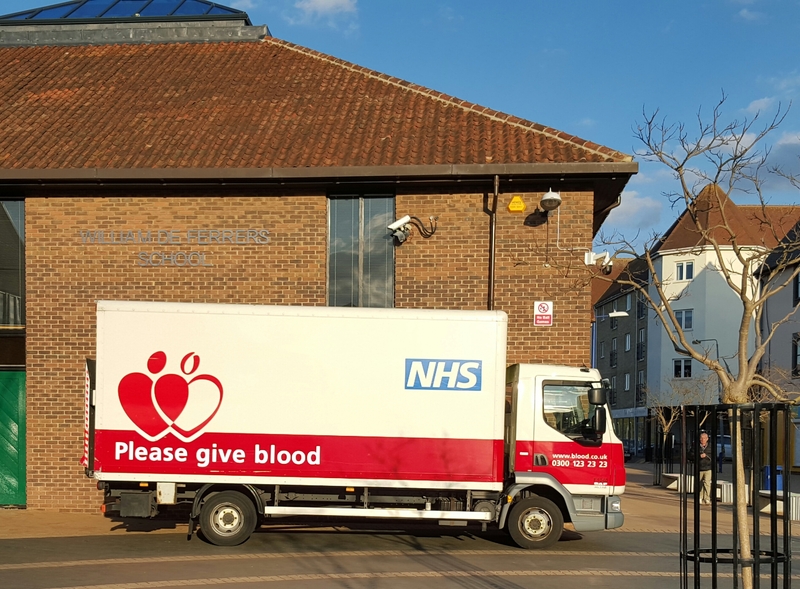 Apparently this means that my blood type is a less common one – according to the Give Blood UK website, only 7% of the donor population have this blood type. I had always wanted to give blood, as I know it is an amazing thing to do, but had always been a bit of a wuss. I’d never had a blood test done before until I was pregnant and so my first time I was a bit apprehensive. I bought some jelly babies to have afterwards, and it was a good thing I did because I felt so faint and the midwife was concerned at how pale I went, and how quickly the blood literally drained from my face! I also seem to have small veins, and there was a bit of trouble actually taking blood. But, once I’d got the first one done and out of the way, I became a bit of a pro. Which was a good thing really, as I ended up having endless blood taken from me and cannulas inserted whilst I was giving birth, so it was good practice. If you’re a regular reader of my blog, you’ll know that my birth didn’t go the way I wanted and I ended up having an emergency caesarean (you can read about it here). Thankfully, everything went well and there were no complications, however, I’m now very aware that a lot could have gone wrong and I could have ended up needing to be given blood. 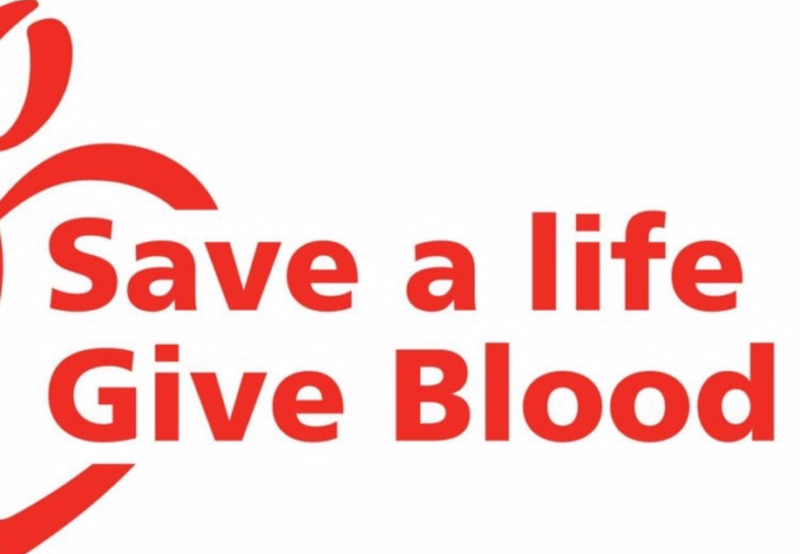 It’s a scary thought, but one that got me thinking – if I had needed blood, would I have taken it? Of course! Therefore, I shouldn’t be too scared to give back and donate my own blood. I had to wait until 6 months after giving birth to give blood. This is to let your body recover from the trauma of childbirth. There are some restrictions if you have certain medical conditions, or have travelled to certain countries (due to risk of contracting certain diseases). You also can’t give blood if you are pregnant or have had a baby in the last 6 months. I booked an appointment back in January, after writing my Blog it Forward post, and had to wait two months for my appointment. On the day I was fine about it, and was actually looking forward it! When I actually got there, I was so nervous though! I walked into the hall and they had all the beds lined up in rows, and there were lots of people already occupying the beds, as well as lots of people waiting. It was lovely actually to see all these people there with one thing in common – we were all doing a great thing by donating a part of us to help others. I was given a welcome pack to read as it was my first time. This explained a bit about the process, and things I should do before and after the donation. It also explained the process and what would happen with my blood afterwards. I was waiting for about 20 minutes and then I was called in to see the nurse. Before I arrived, I had filled in a donor health questionnaire, which we went through. It basically asked questions about any medication I might be on, any drugs I had taken in the past or any conditions I may have. It also asked about any operations I had had – which I had to explain about the c-section. I had my finger pricked to checked my iron levels (which were great!) and then the senior nurse had to sign off that I was fit and well to donate. They tested both my arms to see which one had the “better” veins. My right arm was better, but because I had a flare up of eczema, it was decided that it was better to use my left arm. I was sent over to another waiting area to have a glass of water and a biscuit and to wait for a bed to be free. Then I was led over to the bed to be hooked up! The nurse gave me a sheet to read about doing hand compressions during the donation, and suggesting crossing and uncrossing my legs to keep the blood flowing! Then she cleaned the area on my arm and put the needle in. I was grateful that she just got on with it and didn’t give me a running commentary because it would have made me more nervous knowing when she was going to do it. When the blood first started coming out, I had a strange sensation – like I could feel it coming out of me. But it soon went and I enjoyed the next 20 minutes it took the donation to finish flipping through my phone guilt free instead of thinking that I should have been doing something else! Once it had finished my arm felt cold, and I had pins and needles in my hand, but the nurse said that was normal. I must have gone very pale because she asked me about 4 times if I felt ok, but I felt fine. She then walked me over to the drinks station and gave me a glass of water and told me to eat something – they provided ginger biscuits and crisps! I was disappointed I wasn’t allowed a cup of tea though, but was told only cold drinks for a few hours. Whilst finishing my water and biscuits, I booked my next appointment. 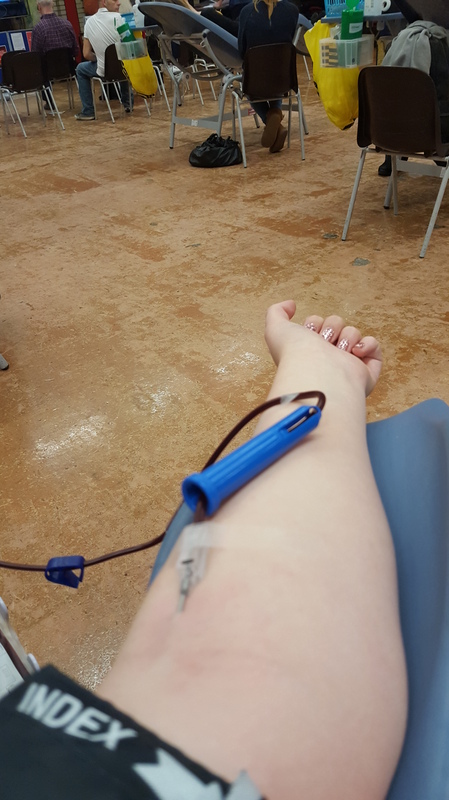 I was very eager to donate again and decided it was easier if I could sort an appointment there and then! How do I feel now I’m an official blood donator? Bloody fantastic! It’s hard to describe, but as I was walking home, I felt so proud of myself. It was such a small thing I did, but I know it could have a big impact on someone else’s life. I now hope to be a lifelong donator, and will continue to donate as much and for as long as I can! I would really urge anyone who is thinking of donating, but for whatever reason, haven’t done it yet – just do it! It’s so easy, you can book your appointment online here, and then all you have to do it turn up. From start to finish it took an hour of my time, but it could potentially save someone’s life. Be a hero. Give blood today.